This novel takes a lot on. Without giving too much away, there are some big issues at play here, amongst them coming out to parents, the processing of grief, learning to trust, racism and dealing with all the questions arising from Walker being intersex. It could be a murky mix of navel-gazing and histrionics, but it isn’t. Instead, there is a delicately-balanced story of young love, set against the misunderstandings of two families, one of which have their own devastating loss to deal with as well. 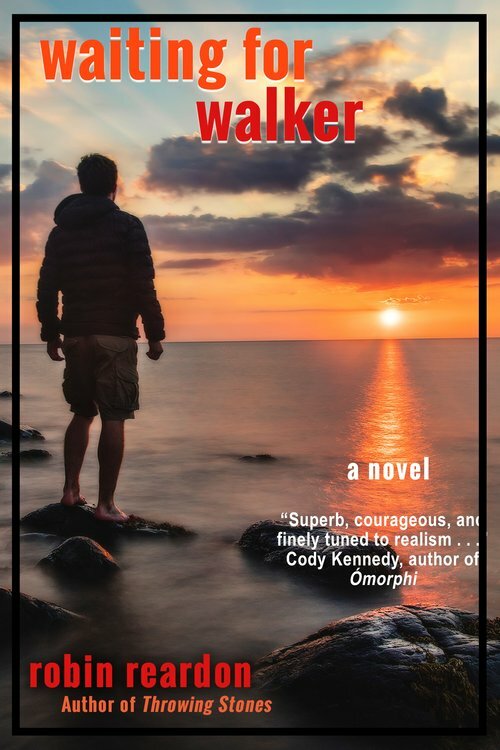 The story, intricate and compelling, is told through the eyes of Micah, a young gay man who falls totally in love with Walker. Even as he learns more about Walker’s gender, and the inevitable questions it poses about his own sexuality, his emotions are incredibly tender and real. At the same time, he is dealing with his mother’s grief over his lost brother, and the fact that his father has moved on and found happiness with another woman. It’s a huge burden for any teenager to bear, and Micah reacts in a totally convincing manner; switching from surly to affectionate to sullen again. He was written very well, never losing my interest for a moment, and remained appealing even when he was in one of his moods, and the author has a knack of drawing their secondary characters so well, they almost share top billing with the two leads. The descriptions of Long Island Sound, sailing for the first time and the burgeoning emotions are exquisite. You can almost smell the sea air and feel that flutter of anticipation as Micah falls inexorably in love with Walker. The story is atmospheric, almost dreamy at times, but not in a way that gets in the way of the plot, which moves along at just the right pace. For an easy read, it packs a big emotional punch. I believe this book has a wide appeal, from young teenagers just exploring who they are as people, to anyone interested to know more about intersex relations and love. It certainly educated me without being preachy, and the ending was immensely satisfying (no spoilers.) This is definitely a book I will read again in the future.